Photos from Little Tokyo’s Ninomiya Studio to be displayed. 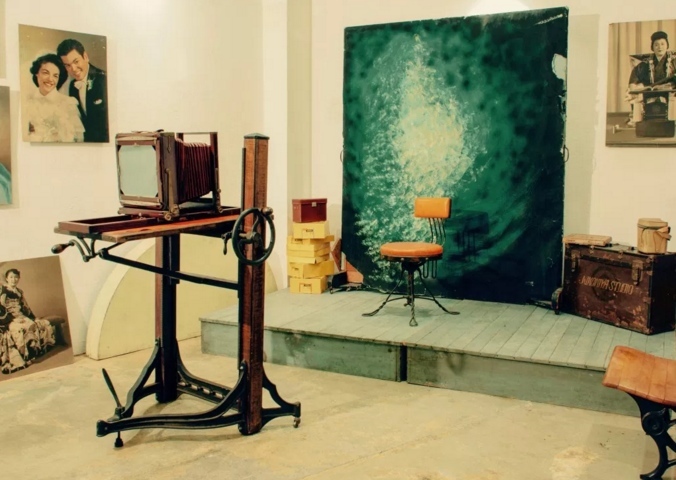 The gallery has recreated a Little Tokyo photo studio of the 1940s. The Ninomiya Photograph Studio was founded by photographer Kinso Ninomiya in the 1920s in the thriving immigrant community of Little Tokyo. With the onset of World War II and rising anti-Japanese sentiment in California, Ninomiya and his family were incarcerated at camp in Poston, Ariz. The studio was shuttered and soon disappeared, only to be restarted upon Ninomiya’s return after the war. Family-run, the studio managed to stay in business till the late 1980s. In 2010, Bob Tanabe, a building contractor clearing an apartment building for renovation, stumbled upon a treasure trove —40 years of materials from the old Ninomiya studio that had been languishing and was about to be incinerated. Unsure what to do but cognizant of the value of these photos, Tanabe posted an ad on Craigslist asking any interested parties to take the collection. Local assistant director/cameraman Michael Risner was intrigued by the ad and ended up picking up about a half of the discovery, which included approximately 100,000 negatives that were stuffed into garbage bags. With time and a lot of hard work, the value of the collection was eventually recognized and has since found a home as part of the CSU Dominguez Hills Japanese American collections. The Perfect Exposure Gallery has acquired and will put on display original hand-colored prints and other highly valuable artifacts from the studio. As an added bonus, Arorizo is offering a free portrait sitting for visitors 80 of age or older, taken with Ninomiya’s original large format camera. The exhibit opens Saturday and Sunday, Dec. 9-10, from 11 a.m. to 4 p.m. It will be on display until Dec. 27 and is open to the general public at no cost. The Prefect Exposure Gallery is located at 1125 Crenshaw Blvd. in Los Angeles. For more information, call (213) 381-1137 or visit www.ThePerfectExposureGallery.com.